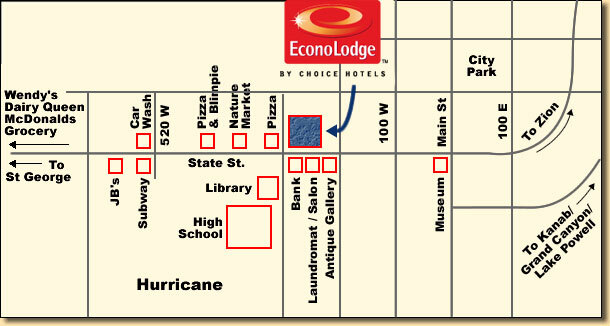 The Econolodge Hurricane is located just 30 minutes from Zion National Park, one of the most beautiful National Parks in the United States. The Econolodge can be accessed from the south via I-15. Travelers coming from Las Vegas and through St. George should take exit 16 and continue on Highway 9 into Hurricane. The Econolodge will be on the left at 300 west. Travelers coming from Salt Lake and other areas north of Southern Utah should tak exit 27 and proceed through Toquerville and La Verkin before entering Hurricane. Hurricane is very close to Zion National Park and offers amenities not found in other surrounding communities. Use this map to become familiar with Hurricane and surrounding businesses. 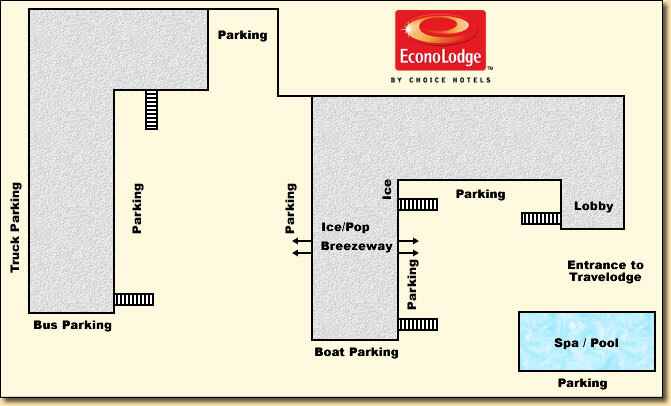 Use this map to become familiar with the Econolodge Property.